My cousin and I are famous for coming up with silly sayings and immediately suggesting that we "put it on a t-shirt". If we actually went with it, we could probably have an entire store filled with humorous, off-the-wall apparel that the masses could appreciate.Though, that's easier said than done. 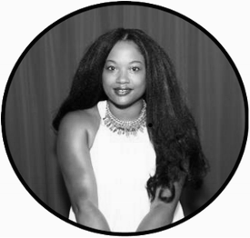 There are several factors that would throw a wrench in our brilliant idea of becoming clothing designers. For one, we don't have the money. I mean, I don't have a few extra dollars laying around just waiting to design a t-shirt. Then, there's the whole artistic thing where one of us would have to attempt to draw, scribble, doodle or fulfill some other talent that we most likely lack (I do believe stick figures on a t-shirt only work for big name designers). Don't forget the whole time aspect. It feels like I have a lot of it, but I doubt I can justify spending my free time designing t-shirts all day...in the beginning. Finally, the promotion of it all. How would people even know we had these t-shirts? Social media, of course, but we need more. Where can we find all of these elements in one place? 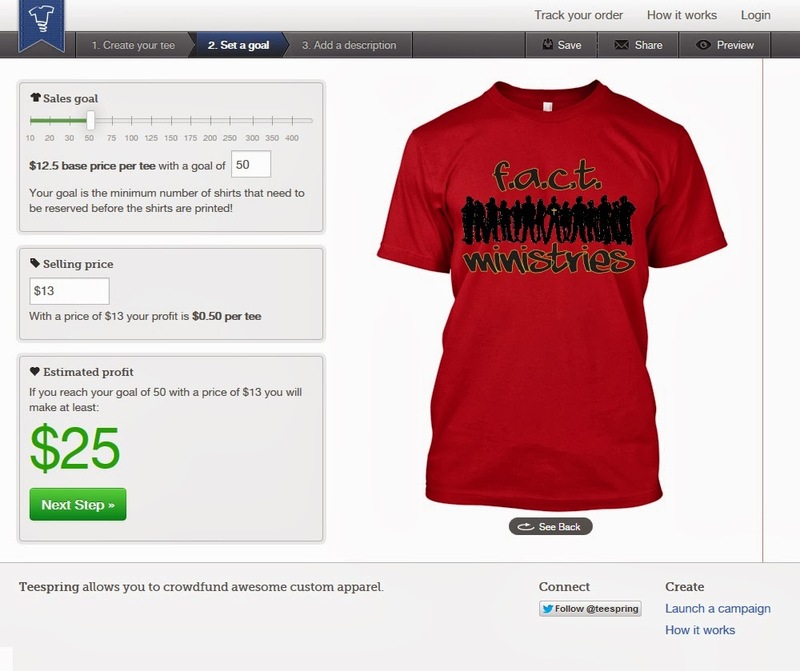 Teespring is a crowdfunding platform for groups, causes and communities to design and sell custom apparel. Anyone can come and design a shirt which they can then sell via Facebook, Twitter or anywhere else online. The seller keeps all of the profit the shirt earns. 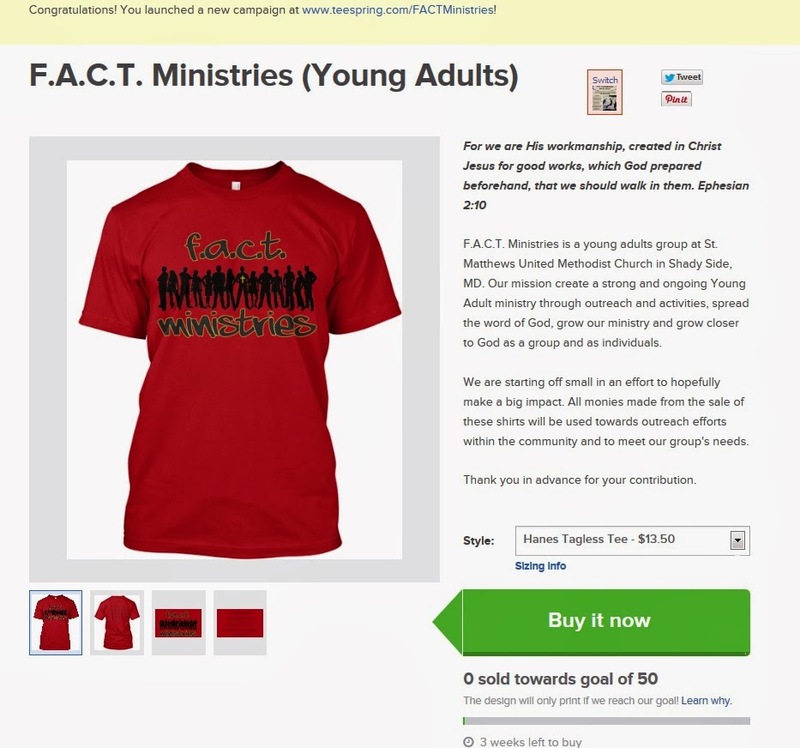 People use Teespring as a fundraising tool or just to earn some extra money. The best part is the shirts don't print and ship until a set end date determined by the seller. This means they pay nothing upfront, take no risk and don't have to deal with the hassle of ordering the right number of shirts. I absolutely love this concept, mostly because it requires no money up front. I also love the goal-setting aspect of it. This eliminates those who aren't serious about making a t-shirt, but it also gives hope to those who see their goal inching closer towards fulfillment. I just had to give Teespring a try. I launched a campaign for my church's young adult group, F.A.C.T. Ministries. We hold a lot of community events and it's easier to spot each member if we are uniformed. It is also a way for members of the community to support our cause and encourage others to join. Seeing a t-shirt can spark conversation as well. 1. Design my shirt: I chose the color and style of shirt I wanted. I added text and art of my own. Teespring also has images for you to choose from. You can also add text and art to the back of the shirt. 2. Set a goal and base price for your t-shirt. This is important depending on how much profit you want to make and how many shirts you want to sell. We are starting out slow, so I did not want to make the t-shirt cost too much. This is just a test-run. Remember, your shirts will only print if you reach your goal of shirts ordered. So, choose wisely. 3. Add a description. I missed the screenshot for this step. You will be able to add more details about your efforts, maybe information on the person who designed your shirt and more. You choose how long you want the campaign to run. 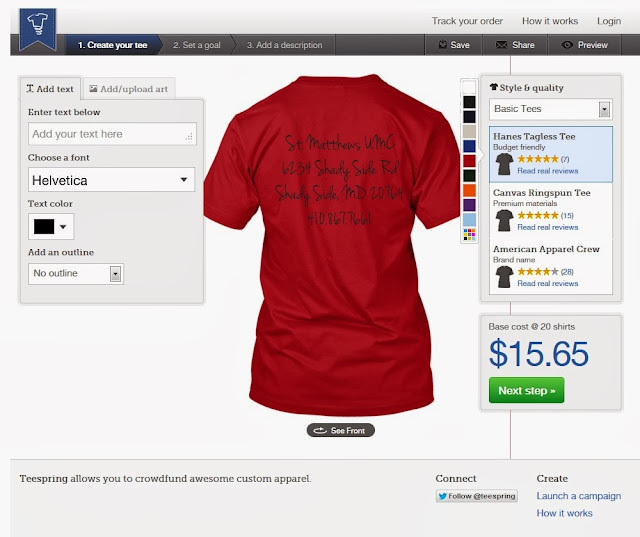 You can also specify if you want the option for your buyers to have their shirts picked up or shipped. Besides the shirt you designed, there will be other styles to add to your campaign. I added a hooded sweatshirt, long sleeve t-shirt and a fitted t-shirt. The costs for these is different and you will also make a profit.You'll even get a personal URL to direct people to your site. 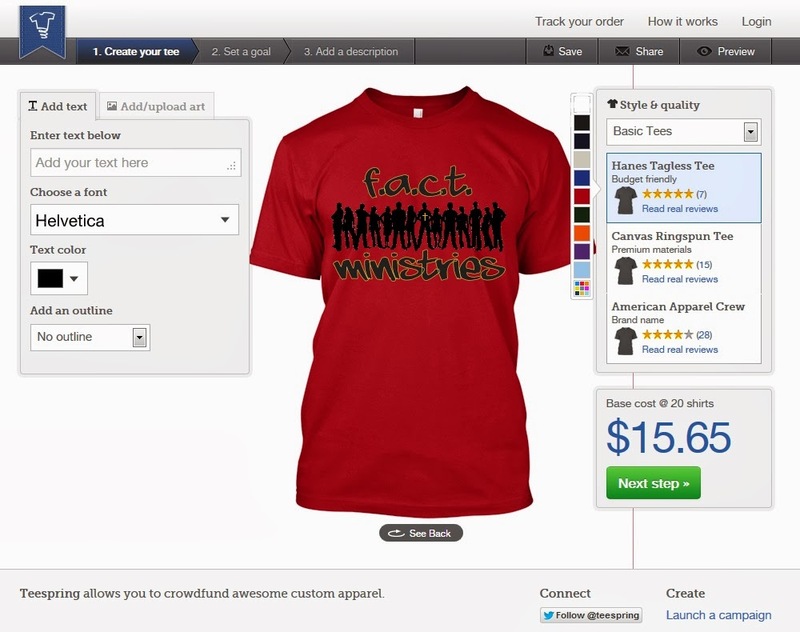 Ours is: http://teespring.com/FACTMinistries. 4. Launch your campaign. After going over everything and checking to make sure it all works out, you are ready to launch. Hit the button and wait for the sales to pour in. This site is amazing. I'm already thinking of other t-shirts to design. Just think of all the fundraising opportunities you can use this for. I'm sure we all have a child in a sport, wedding activities, a family reunion, a race, or just a cause to support. Teespring.com gives you endless combinations of t-shirts to design. I wanted to play on it all day. So, what are you waiting for?! Go launch your campaign now.